The North Fork Rancheria of Mono Indians plan to build a casino, a 200-room resort hotel, restaurants, an entertainment lounge, retail space and banquet/meeting rooms near Madera, California. The tribe began their pursuit of this project in 2003 when they signed a development and management agreement with Station Casinos, who will oversee construction and manage the casino operations. The proposed site is a 305-acre parcel on Avenue 17 just west of the intersection with State Route 99. It is on unincorporated area between Madera and Chowchilla and within the Tribe's ancestral lands. Construction of the North Fork Rancheria Resort Hotel & Casino Project has not began pending final resolutions to legal issues. A gaming compact between the tribe and the state was signed by Gov. Jerry Brown on Aug. 31, 2012 and approved by the state assembly May 2, 2013. The state senate approved it June 27,2013 and Gov. Brown signed their legislation a week later. A lawsuit was decided March 14, 2014 by a Madera County judge who ruled state process authorizing the casino was constitutional. In November 2014 a ballot referendum on off-reservation gaming (Proposition 48) was rejected by voters. This effectively stopped construction of this project. A legal challenge was started to determine if the referendum could nullify the tribe's gaming compact with the state. In November 2015, a U.S. District Court judge ordered Gov. Jerry Brown and the North fork Rancheria to return to gaming negotiations. When that failed a mediator was assigned who decided in favor of the tribe. The state was given till April 11th to agree to the compact, otherwise the tribe could take the compact to the U.S. Interior Department for approval. In July 2016 the Interior Department gave federal approval to the gaming compact. Several lawsuits to stop construction are still pending. In the meantime the tribe has no construction timeline. However, it is considering several construction phases during the legal processing. They may begin with ground preparations and a smaller casino until the legal status allows for full-scale construction. The U.S. District Court has ruled in favor of a proposed gaming facility that would be tribal owned in Madera County. The North Fork Rancheria of Mono Indians have been trying to operate gaming on 300 acres of their land. Previously it was approved by the Department of the Interior. Shortly after the approval, a lawsuit was set against the Department and the tribe. Against the casino facility is The Deuce Lounge and the Club One Casino. The opposing side to the tribe argued that it was not clear who had the right to give permission for the tribe to operate their casino on that land. Part of their case involved the Administrative Procedures Act. They believed that the Department of the Interior was not within their authority to approve the land use. They also argued that the location of the North Fork tribe's casino would hurt their businesses. Deuce Lounge is located in Goshen. Fresno is the location for Club One. 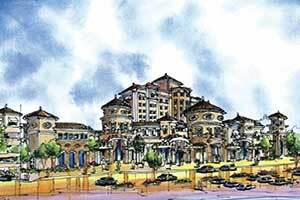 The North Fork casino would also be classified as a Class II gaming facility. They would also be allowed to offer blackjack, poker, and baccarat. Games where players bet against each other and not the house. Games like slot machines would not be allowed. Lawsuits to prevent the North Fork from moving forward with casino plans started nearly 13 years ago. This was when an application was submitted to have land placed into trust for the tribe. At that time the tribe knew they had interested in developing a Class III casino. A gaming compact was agreed upon between the governor and the tribe in 2012. Then it became part of Assembly Bill 277. It was signed the following year by the governor. In 2014 the gaming compact was set to go into effect. However, it was sent to the voters to decide and it failed. The request to begin negations again happened early in 2015. However, the request was denied since a large number of voters rejected the compact. Another lawsuit was filed. This time by the tribe seeking the state to come to an agreement. After 60 days had passed, and no new agreement could be reached mediation had to take place. In mediation the offer from the North Fork tribe was accepted. In the court order, the tribe was voted in favor that they could operate a Class III casino without a compact with the state. This occurred in 2016. The order was issued by the secretary of the Interior under Secretarial Procedures. The next lawsuit was then to determine if the Department of the Interior acted within their rights by granting the permission. Opposition argued that the this was not investigated. Ultimately the courts sided with the tribe and closed the case to any further lawsuits. A recent ruling by the federal appellate court has moved plans forward for the proposed casino for the North Fork Rancheria of Mono Indians. 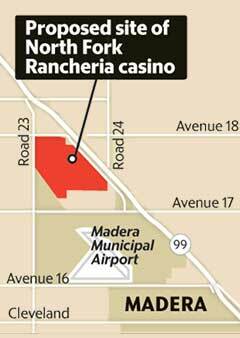 The casino would be developed four miles north of Madera and off of Highway 99. 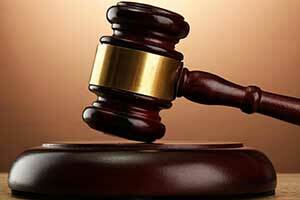 On April 10 the Circuit Court panel in Washington, D.C. decided that a ruling made by a lower court should be upheld. In that lawsuit the Interior Department was challenged over a decision to approve land be taken into trust for the tribe. The court sided with the tribe ruling that the department acted within the proper authority. Stand Up For California was the group of organizations and residents that opposed the casino project. A petition was circulated to stop it from being developed. The issue for the lawsuit by the group was due to the land being taken into trust illegally. One reason was that the proposed casino site property was not considered tribal land. North Fork is located nearly 35 miles from the proposed site. However, it was decided by the federal appellate court that the land was lawfully taken into trust by the Interior Department. The North Fork tribe was within their right to move forward with their casino project. It was decided by the panel that the previous court ruling was consistent with the law. When completed, the $250 million casino will operate 40 table games and 2,000 slot machines. In time, there will also be multiple restaurants and a hotel added.